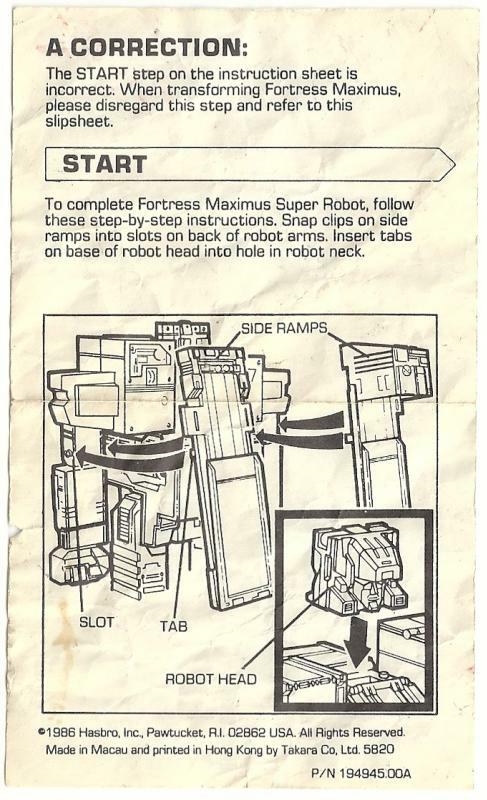 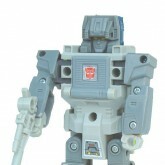 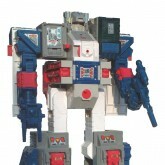 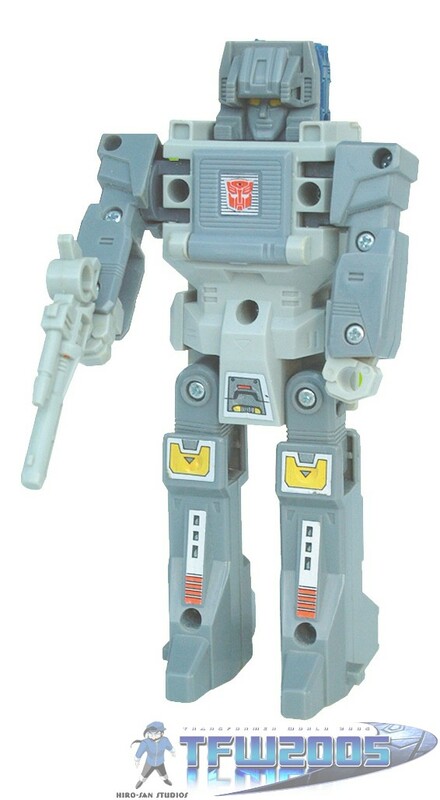 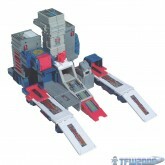 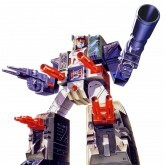 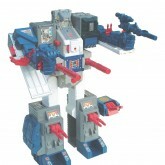 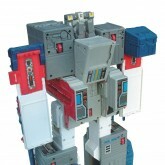 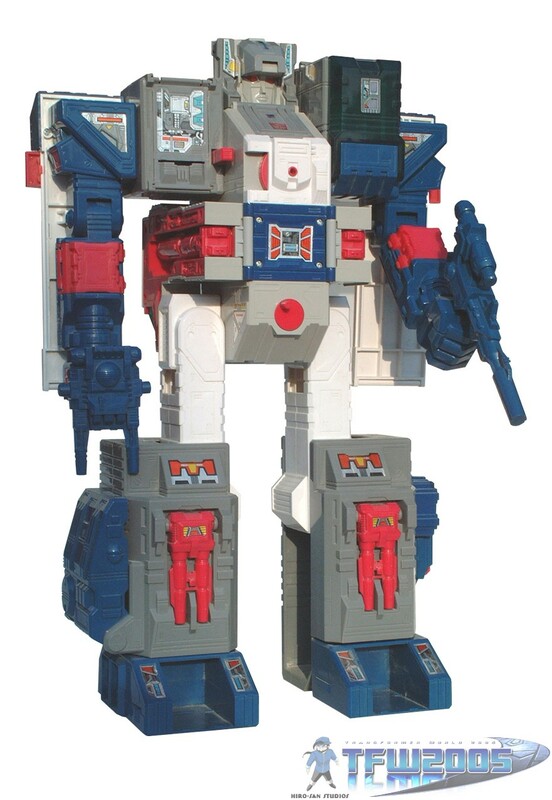 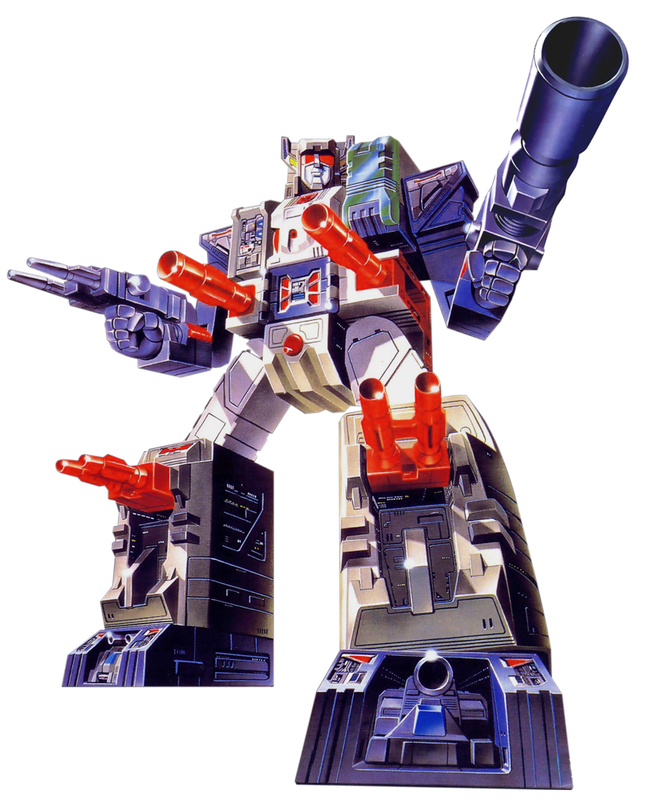 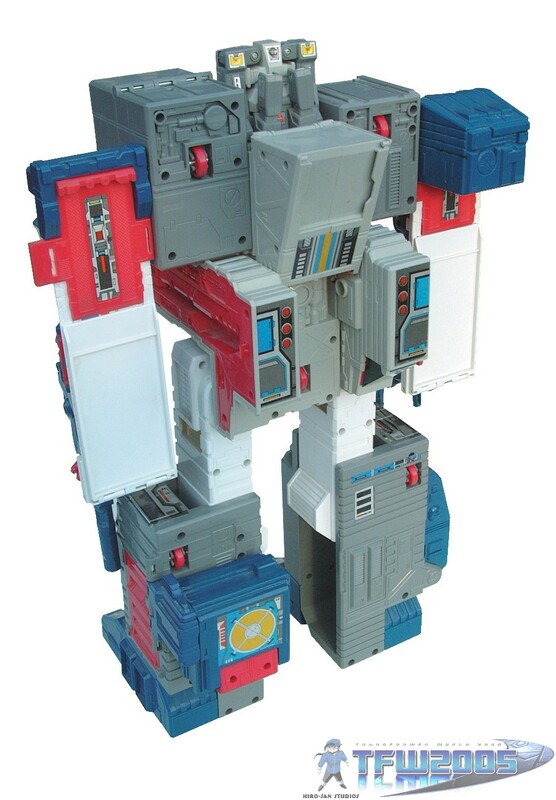 From his release in 1987, Fortress Maximus held the title of "tallest Transformer ever released". 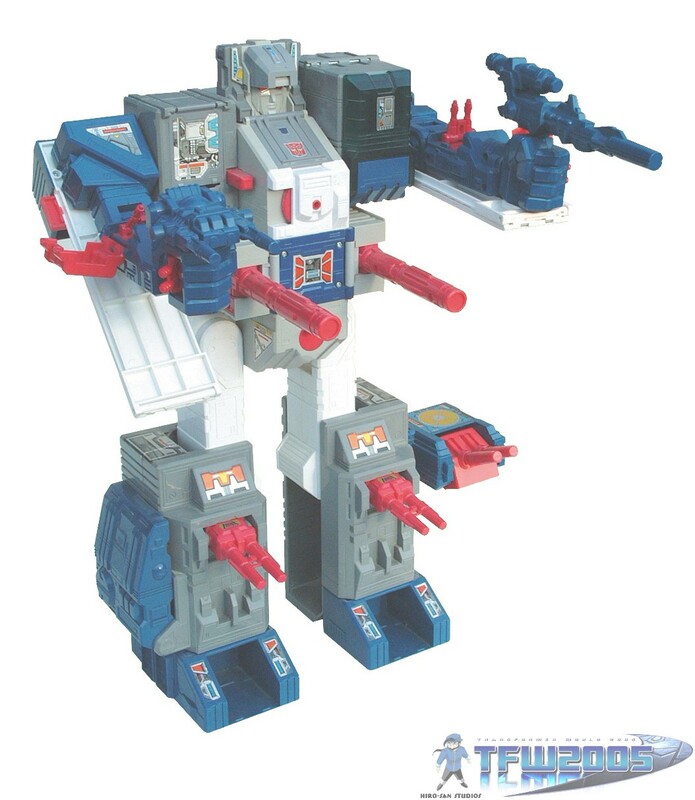 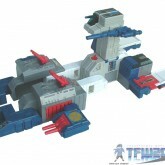 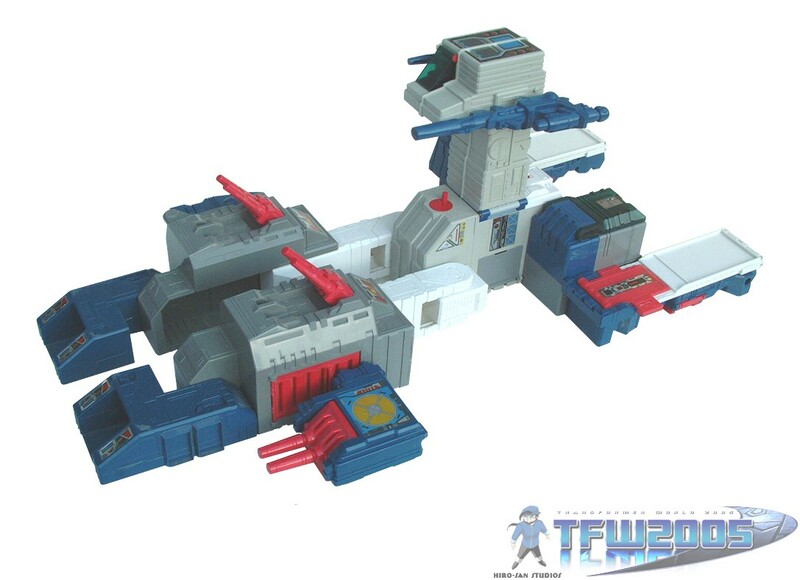 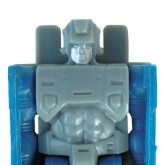 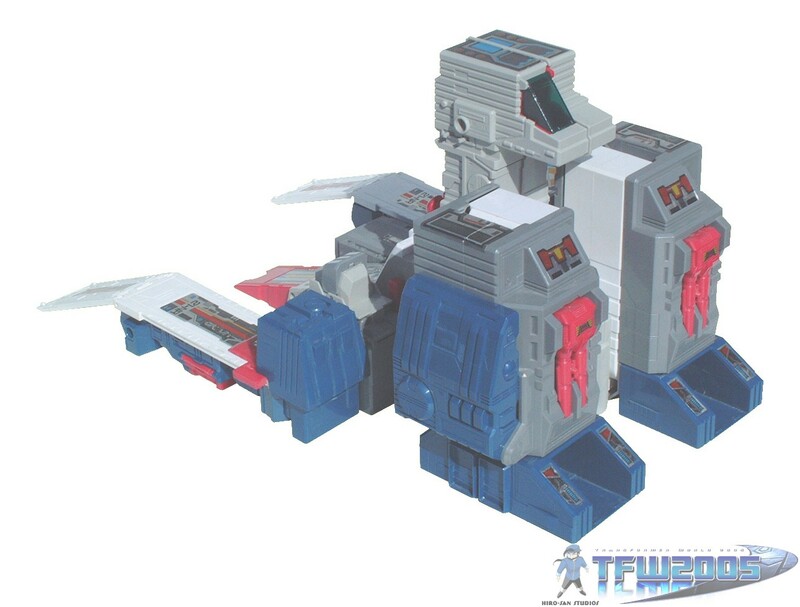 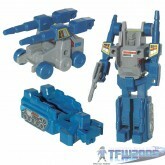 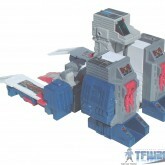 He retained this title until the release of the Titan class Generations Metroplex in 2013, who topped Fortress Maximus' height by two inches - however, Fortress Maximus is the bulkier toy so pound-for-pound a case can be made for him being the biggest. 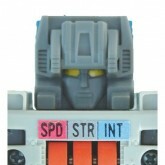 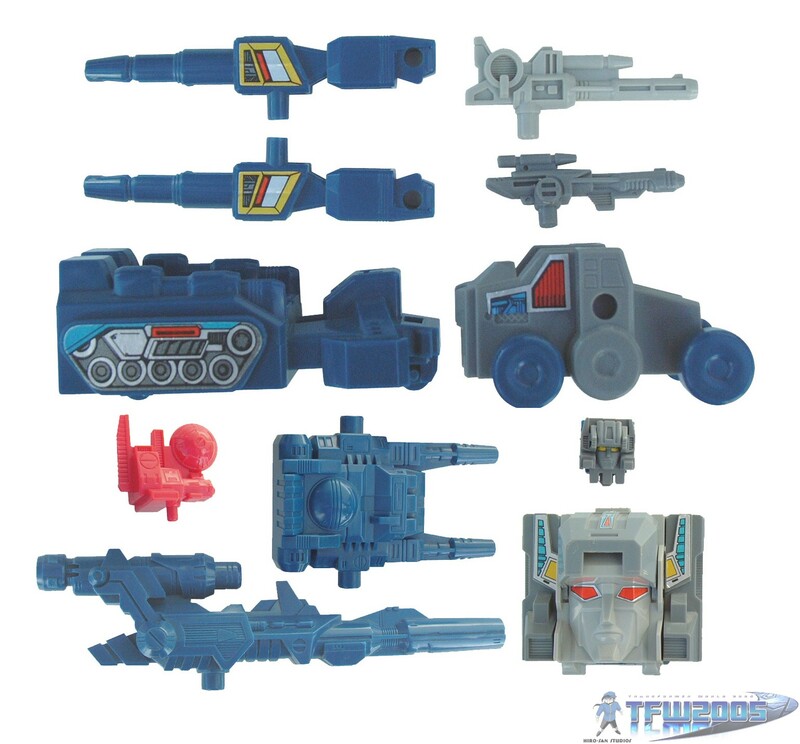 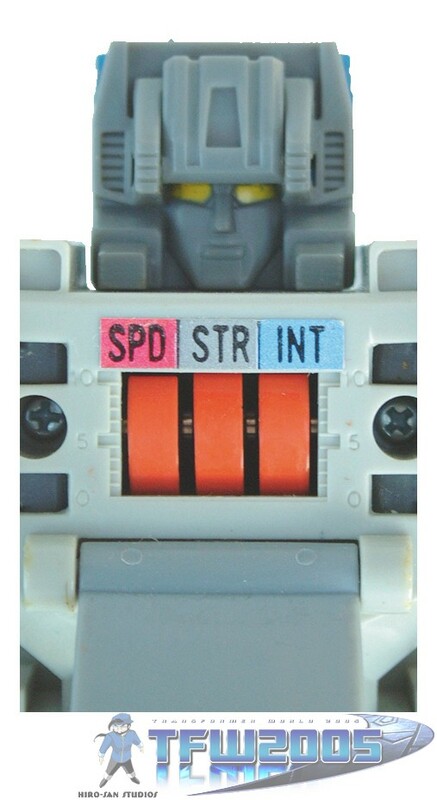 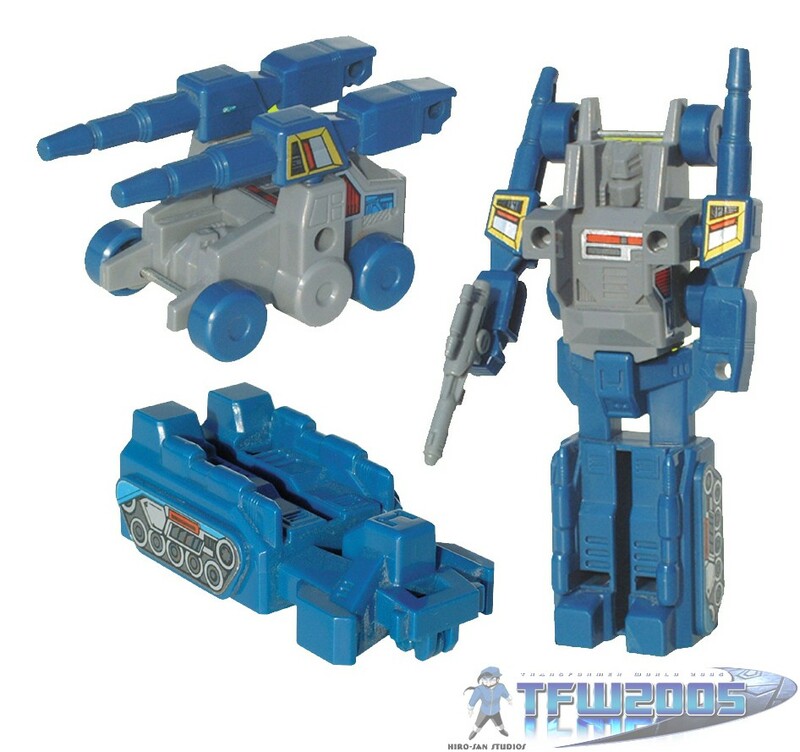 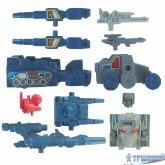 Came with 1 gray "Cerebros" Headmaster, 1 blue/gray "Spike" Headmaster, 1 "Gasket" car/"Cog" body, 2 blue "Gasket" Laser Rifle/"Cog" arms, 1 blue "Grommet" vehicle/"Cog" torso/legs, 1 gray "Cog" Mini Laser Rifle, 1 black "Cerebros" Laser Rifle, 1 blue "Fortress Maximus" Photon Rifle and 1 blue "Dual Laser Blaster". 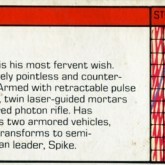 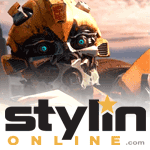 Cerebros was voiced by Jered Barclay, who also voiced Sinnertwin. 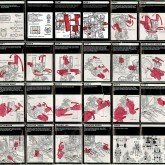 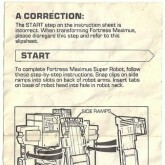 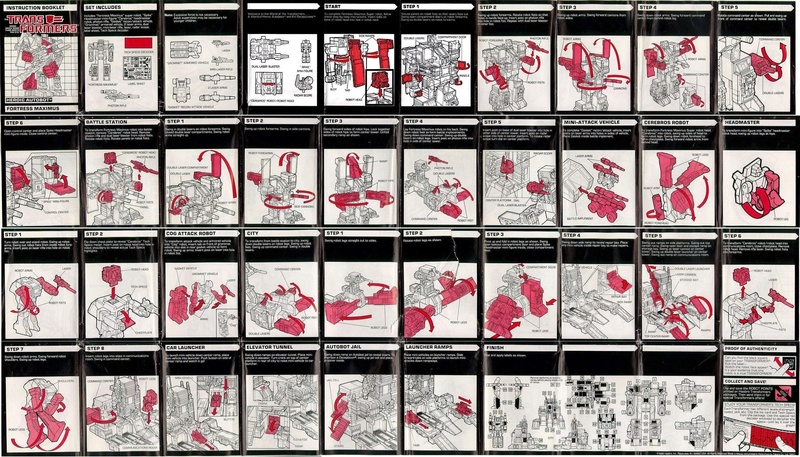 The original instruction sheet excluded one step of the instructions, attaching the ramps, which was covered by a correction sheet (see attached scan of the relevant panels).